Two Duquesne University students, Jacob Leya and David Rajaski, are the first to be awarded the Laura Stephenson Video in Education Scholarship. 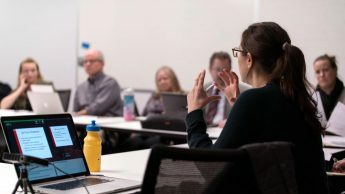 The scholarship was renamed to honor Stephenson, a longtime NC State employee and Mediasite advocate, who passed in October 2016. 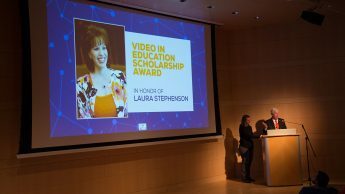 SonicFoundry, the owners of Mediasite, renamed its Video in Education Scholarship Award this year in honor of Laura Stephenson, a longtime NC State employee and champion of classroom capture.